I hope that 2019 will be a year of revolution in the hearts of people. A year in which we will open our eyes and see very clearly that we are pressed up against a large wall, and that we have the ability to do things differently in the world—feed every person, care for every needy person, educate every child, ensure every family’s basic necessities, provide security for each country and preserve the climate. The human ego will reach its limit, and then the change will appear to be so simple. But it is only when the obstacles and pressures intensify and we see we have no choice that we will recognize our evil egoistic nature—a separating and dividing force, to whom we are all enslaved. Then we will open our ears, and gradually our hearts as well, and realize that we really have no choice but to unite. 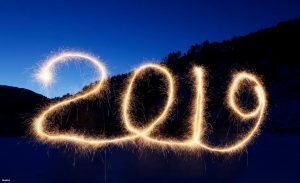 May this be a good year, a year of recognizing our inherent evil and connecting to good.